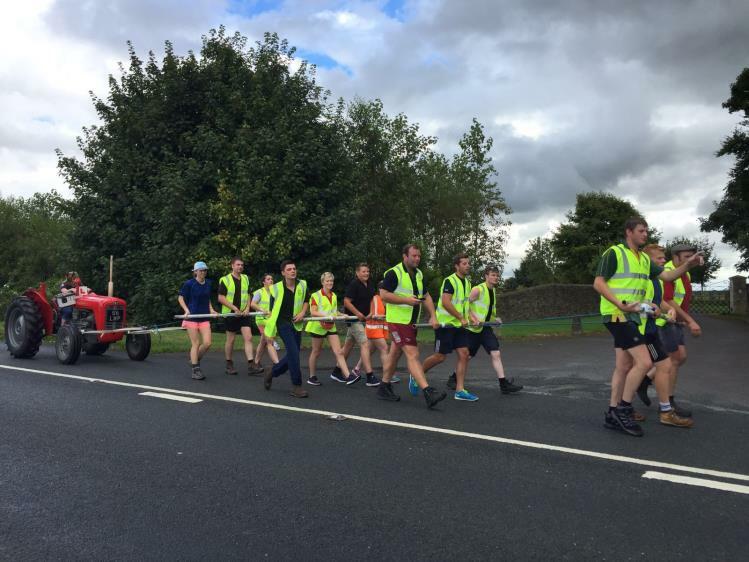 Over the Saturday and Sunday of the bank holiday weekend Gloucestershire Young Farmers set out from Toddington, Winchcombe traveling 50 miles across Gloucestershire to Horton, South Gloucestershire, pulling a Massey 35X. Battling through thunderstorms and heaving up hills all in aid of The Great Western Air Ambulance, the route was very challenging and even County Chairman Sam Adams had to question wether he had been too ambitious setting the task. As a County Federation we decided that supporting the Air Ambulance was something that the whole farming community could benefit from. Because of the rural and often isolated location of many farms and fields, if for any reason there was an accident the air ambulance would likely be called.